In the basement of the Student Commons, 15 books sat at desks in a closed room. One by one, students lined up at the volunteer desk to check them out, read them and bring them back. The books went fast. People read them in 15 minutes or less and brought them back, so five to 10 other students could read them before the afternoon was up. Just how short are these books, you may ask? Trick question — the books are people. 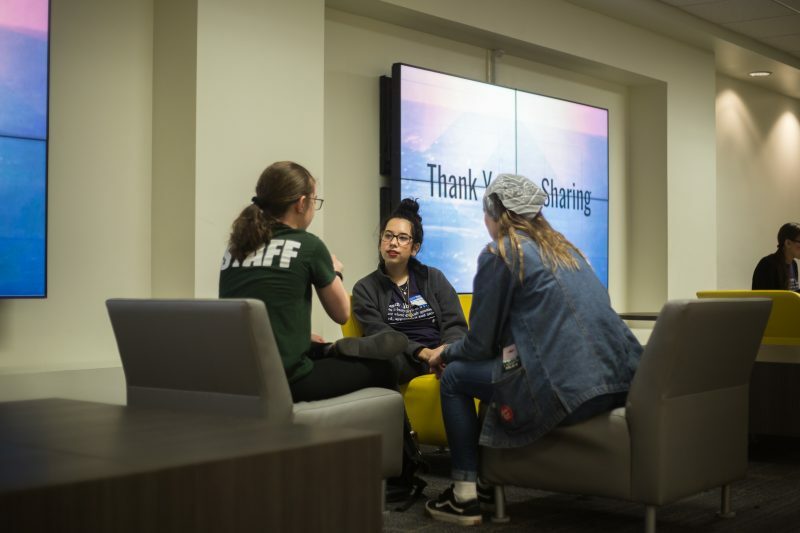 The Human Library, hosted by the Office of Multicultural Student Affairs and Residential Life and Housing, took place March 30. 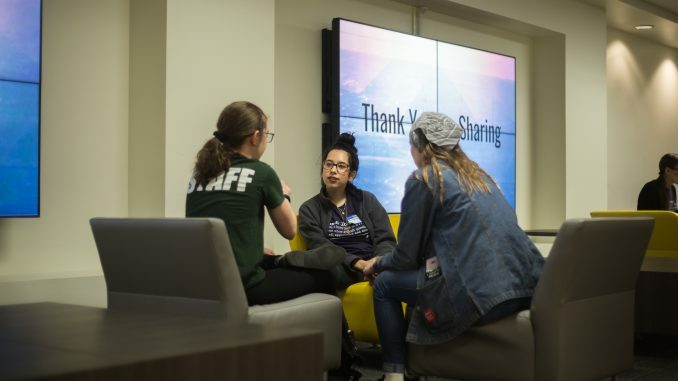 Students volunteered as “human books” and were “checked out” by participants for a short conversation, which revolved around the personal story of the “book.” The conversations between books and participants took place in the Rams Lounge, in the basement of the Student Commons. The human books chose what to talk about, from race issues and struggles with illness to LGBT topics and family dynamics. After listening to the books talk about their lives, participants were allowed to ask questions. Noura Allen, OMSA assistant director and lead organizer for the Human Library, said anyone could volunteer to be a book, regardless of what their story was about. Arze said this is her first year volunteering as a book with the Human Library. Though VCU has done the Human Library before, this is the first year OMSA has been involved in planning. The Human Library is an international event and is described as “a worldwide movement for social change” on its website. It was developed in Copenhagen, Denmark, in 2000 and has since been held by local organizers in about 70 countries.